Let us help you find the right wine pairing for your party. 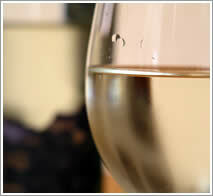 Here you'll find articles and reviews of wines from around the world. Our articles cover suggestions and recommendations, as well as, reviews to help choose the right wine glass or corkscrew. Now that the holiday season is upon us, it’s time to take a look at a few bottles of bubbly to share with family and friends to ring in the New Year. We’ve taken the time to taste a few – lucky us – and share with you our suggestions from the best of the best to the most bang for your buck. The "quaffable" wines are hitting the shelves again just in time for summer. Searching for a specific wine? Use the search box below.